From the moment our students begin their educational journey at Randolph we are preparing them for the future, cultivating a love of learning that will serve them well throughout their schooling and in life, and building relationships that will support and sustain them as they move through the School and beyond. 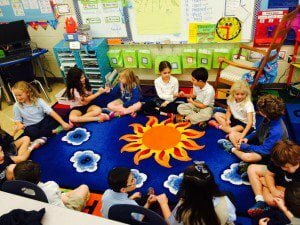 Our Kindergarten through 4th grade classes provide a learning environment in which we focus on the needs of the whole child, nurturing creativity, supporting natural curiosity, and teaching foundational habits of heart and mind. We strive to uncover the potential in every student. Our research-based curriculum offers a developmentally appropriate learning experience that allows for differentiation of curriculum. We hire extraordinary teachers who are lifelong learners, whose love of learning permeates their classrooms. 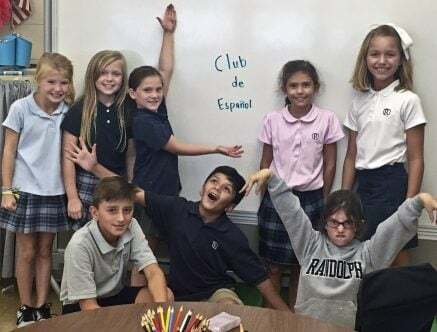 Our art, music, computer science, science lab, foreign language, library, and physical education classes are taught by specialist teachers who love their subjects and impart their enthusiasm to their students.